While traveling from Austin to San Francisco last night, I decided to create a playlist for my iPhone. I have to admit, it’s pretty random but as I listened to it, I was pretty pleased with the outcome. So much so that I tweeted about it thus eliciting responses from several friends. Their challenge? If it’s that awesome, why not post it. Well, if I was really fancy, I would find a way to create a dynamic picture that people could click on and buy songs via iTunes or Amazon if they liked. But I’m not. Not one to be thwarted by technology, I found a low tech solution i.e. 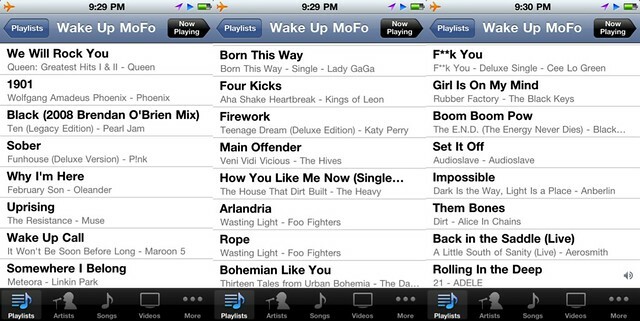 snapping pictures of my iPhone screen with roughly 8 songs per screen. 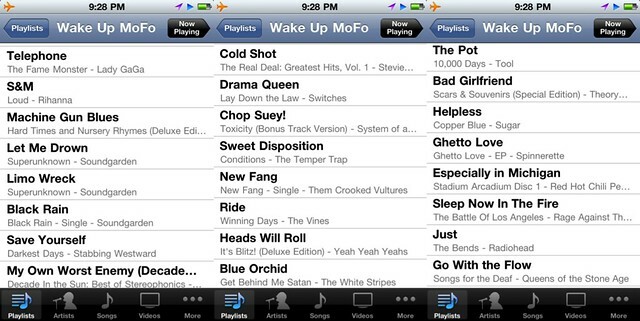 Below is the resulting playlist. If you like it, cool. If you don’t… oh well. What songs would you add? Subtract? 1) Don’t worry, this blog isn’t intentionally going video even though I’ve done more video posts recently than normal. That’s just the way the cards got dealt. 2) I am not an informercial kind of guy. Any of you that have ever read me or follow my Twitter feed know that. But I will warn you up front that this video is all about my company. But with that said, when I first saw this video at our internal creative summit on Tuesday, I was blown away. First of all, the office you see here is our San Francisco office. And all the people you see are my colleagues. The reason I felt such strong feelings about this video is I think it does a great job demonstrating what we do. I also love the fact that WE DID IT! Well, not me but some of the folks on our creative team. So before I bore you to tears by waxing too poetic, I want to share it. Let me know what you think in the comments. Maybe I’m too close to this.